Protecting your privacy is important to ATEN. We strive to keep your personal information confidential. Please take a moment to read the following statement, which will inform you about ATEN's privacy practices and the ways your personal data is collected online. This Privacy Statement applies to all customers who use ATEN International Co., Ltd. owned websites, domain names, services, applications, and products. ATEN collects and uses your personal information to ensure superior customer service and to make a wide range of products and services available to you and other customers. The personal data we collect will never be processed in ways incompatible with the purposes stated in the document and only in a fair and lawful manner. By using this website, you consent to the collection and use of your Personal Data as described herein. If you do NOT agree with terms set out herein, please do not visit this website. If required by applicable law, we will seek your explicit consent to the process Personal Data collected on this website or volunteered by you. Any consent will be entirely voluntary. However, if you do not grant the requested consent to the processing of your Personal Data, the use of this website may not be possible. Such Personal Data may comprise your IP address, first and last name, your postal and email address, your telephone number, your job title, data for social networks, your areas of interest, interest in ATEN products, and certain information about the company you are working for (company name and address), as well as information as to the type of relationship that exists between ATEN and yourself. ATEN gathers data about visits to the website, including numbers of Visitors and visits, Geo-location data, length of time spent on the site, pages clicked on or where Visitors have come. ATEN uses the collected data to communicate with Visitors, to customize content for Visitors, to show ads on other websites to Visitors, and to improve its website by analyzing how Visitors navigate its website. ATEN may also share such information with service vendors or contractors in order to provide a requested service or transaction or in order to analyze the Visitor behavior on its website. ATEN may seek to collect information about you through surveys and customer registrations. Respondents should be aware that in responding to surveys or customer registrations, , they could be disclosing information that could make them personally identifiable to ATEN Users. The security and privacy protection implemented on ATEN's platform does not cover this type of transfer or disclosure of personal information. Respondents responding to surveys or customer registrations should be aware that they alone are responsible for the content of their responses. Customer Registrations: ATEN currently offers an extended warranty service period for Customers who fill out a Customer Registration through our website. Customers should be aware that the information collected through this Registration will be used to verify warranty info as well as any other marketing or product info that ATEN in its sole discretion deem relevant to the customer's preference or use. As this registration is voluntary, ATEN reserves the right to cancel such warrant or service if the Customer request that the data submitted be erased or deleted. For Users with accounts located in ATEN's European Data Region, all processing of Personal Data is performed in accordance with privacy rights and regulations following the EU Directive 95/46/EC of the European Parliament and of the Council of 24 October 1995 (the Directive), and the implementations of the Directive in local legislation. From May 25th, 2018, the Directive and local legislation based on the Directive will be replaced by the Regulations (EU) 2016/679 of the European Parliament and of the Council of 27 April 2016 on the protection of natural persons with regard to the processing of Personal Data and on the free movement of such data, known as the General Data Protection Regulation (GDPR), and ATEN's processing will take place in accordance with the GDPR. ATEN UK, ATEN Belgium, ATEN Poland are subsidiaries of ATEN International Co. Ltd., as part of that subsidiary relationships. As such, it may be necessary during the normal course of business and operations to transfer data back to ATEN International Headquarter in Taiwan or other subsidiaries. ATEN INTERNATIONAL has executed a Data Protection Agreement and Data Protection Addendum to ensure that any privacy data transferred between any ATEN subsidiaries and ATEN International Co. Ltd. fully complies with the GDPR section 49 and Recital 113. The ATEN entity which you as a User entered an agreement with when using ATEN's platform, will be the Controller for User data, as outlined above in "Collection of User data" section. For Respondent data, as outlined in the "Collection of Respondent data" section, the User will be the Controller in accordance with Directive and GDPR, and ATEN will be the Processor. ATEN adheres to the Directive of 1995 and the GDPR from May 25th, 2018. Consequently, ATEN processes all data provided by its Users with accounts in its European Data Region, in the European Economic Area (EEA) only. All data collected by ATEN Users through surveys will be stored exclusively in secure hosting facilities provided by Amazon Web Services. ATEN has a data processing agreement in place with its provider, ensuring compliance with the Directive. All hosting is performed in accordance with the highest security regulations. All transfers of data internally in the EEA is done in accordance with this data processing agreement. 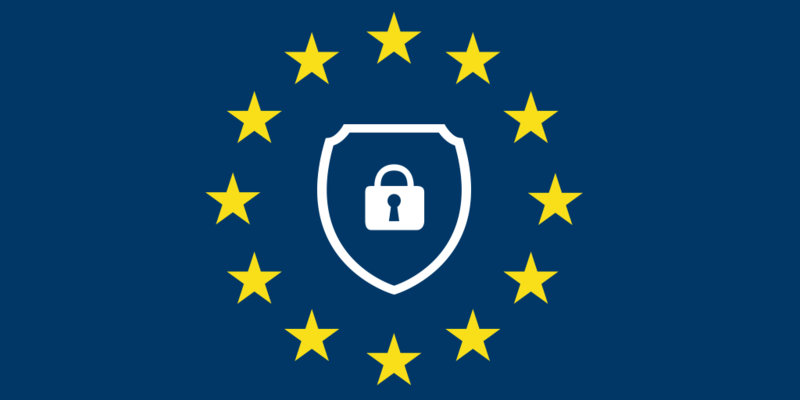 ATEN has adopted reasonable physical, technical and organizational safeguards which substantially mirror the EU safeguards against accidental, unauthorized or unlawful destruction, loss, alteration, disclosure, access, use or processing of the User's data in ATEN's possession. ATEN will promptly notify the User in the event of any known unauthorized access to, or use of, the User's data. All data collected by ATEN Users through surveys will be stored exclusively in secure hosting facilities provided by Amazon Web Services or through other ATEN secured servers and computer networks. ATEN's contract with its hosting provider ensures that all hosting is performed in accordance with the highest security regulations. ATEN's policy is to protect and safeguard any personal information obtained by ATEN in accordance with United States state or federal laws governing the protection of personal information and data. Accordingly, ATEN adheres to practices and policies that aim to safeguard the data. ATEN will not retain data longer than is necessary to fulfill the purposes for which it was collected or as required by applicable laws or regulations. For Respondent data, ATEN's Users have control of the purpose for collecting data, and the duration for which the Personal Data may be kept. For Respondent data, Users with an active account will therefore have the responsibility to delete data when required. When a users' account is terminated or expired, all Personal Data collected through the platform will be deleted, as required by applicable law. We will reveal a user's personal information without his/her prior permission only when we have reason to believe that the disclosure of this information is required to establish the identity of, to contact or to initiate legal proceedings against a person or persons who are suspected of infringing rights or property belonging to ATEN or to others who could be harmed by the user's activities or of persons who could (deliberately or otherwise) transgress upon these rights and property. We are permitted to disclose personal information when we have good reason to believe that this is legally required. Please direct any of your privacy related inquiries or questions to the Data Protection Officer at DPO@aten.com. By using cookies on ATEN websites, we collect anonymous information about you and other visitors. We do this to optimize the efficiency and user–experience of our online communication channels, and to add an online dimension to our market research activities. Most browsers automatically accept cookies. You can change this preset or delete already installed cookies via your browser settings. Please note that by deleting our cookies or disabling future cookies you may not be able to access certain areas or features of our website. To make sure your personal information remains confidential, we communicate these privacy guidelines to every ATEN employee. ATEN International Co., Ltd. reserves the right to modify this privacy statement and cookie notification as needed, to comply with changes in laws, regulations, ATEN practices and procedures, or requirements imposed by data protection authorities. Such changes will always be communicated via this webpage.